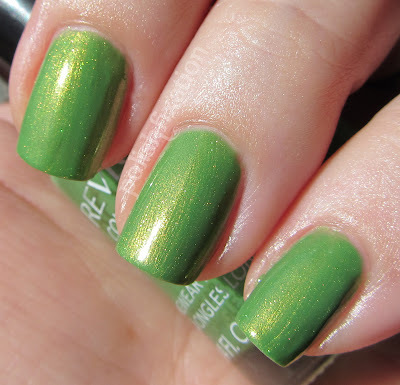 In the last week or so I have talked about some polishes I used to layer other polishes over, so I thought I would just to a swatch spam post to show you some of them! 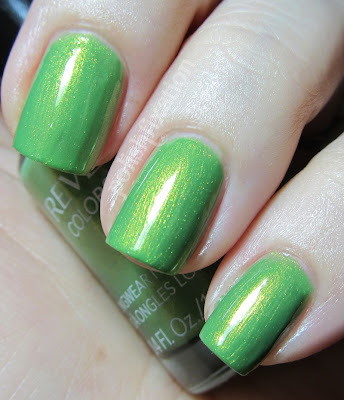 This swatch spam will be a few of the Revlon Colorstay polishes. Bold Sangria, Creme finish, 2 coats. Love this color SO much! Bonsai has a beautiful golden/yellow shimmer. 2 coats. Rain Forest is a deep, rich forest green with shimmer and glitter. Smooth finish, despite the glitter. 2 easy coats. Wild Strawberry is vibrant and shimmery. I really love this shade of pink. The shimmer has hints of purple! 2 coats, it could probably use three next time, I see some VNL in the pics. 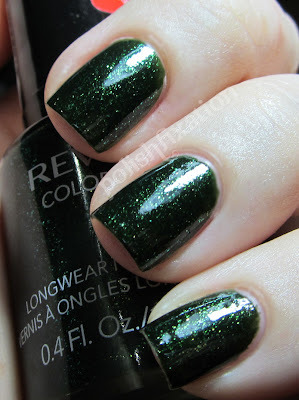 The formula on all the Revlon Colorstay polishes I have tried so far is perfect! I am so impressed with them, can't wait to swatch the rest of the ones I have! What do you think of these colors? Have you tried any of the Colorstay polishes yet? These are all amazing!!! I especially love Bold Sangria, Rain Forest and Wild Strawberry. Beautiful! I have a couple Colorstay in my untrieds. I don't think I picked up any of these though. Might have to change that ;0). I really like RainForest! What a great shade! Yah I know! It was the very first one I bought when I saw the new line. I have a few more I need to swatch as well. I really hope they come out with even more colors in this line. I have loved all the colors I have picked up. 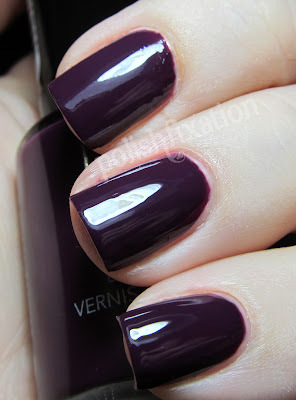 Bold Sangria look fabu on your nails btw! OH EM GEE I love Bonsai! Rain Forest is absolutely beautiful! I must find this for myself! 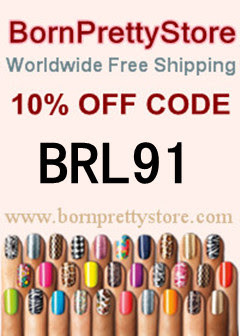 I love this new formula for Colorstay polish. It's worked well for me except for the really light shades (like Buttercup - which I adore, but it does not last long on me). I don't use their base and topper - have 'em but mine work better. I also put a mew color top on 1 or 2 times in the wear cycle of ~9-10 days I seem to get. Depends how long I can take the growth line before I take it off and start over. I was not getting peeling and thinning from this polish which is a good sign for me, so as they have been on sale (usually buy one get one 50% off and a in store coupon for $1 off each bottle on tops of that), I have collected quite a few of the shades. Not all stores have the full display. I think Bonsai is a beautiful shade. Rainforest is really pretty but I am into wearing lighter/softer shades right now - or brights. I like Sorbet a lot too and the fuchsia - Wild Strawberry I think it is called. I like the Coastal Surf - Delicious is a great red/orange and marmalade is great - just not as screaming orange as is Roll in the Hague by OPI which I am crazy for right now. Rain forest is so gorgeous! That bold sangria is beautiful, I have Forest green a fuscia, and the base coat, I really like them. I think they are worth to try.